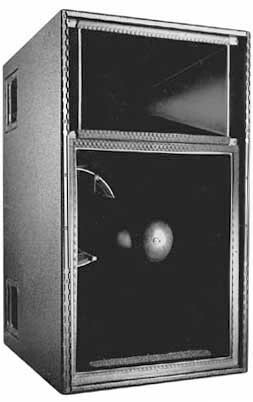 Loudspeakers by Meyer Sound Labs, consoles by APB-Dynasonics, dynamics by BSS. All owned By David Muddiman unless otherwise stated. 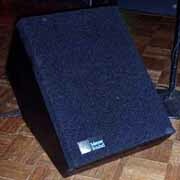 Note: The Meyer UPA-1P has the same components as the Meyer UM listed in "Vocal Monitors". 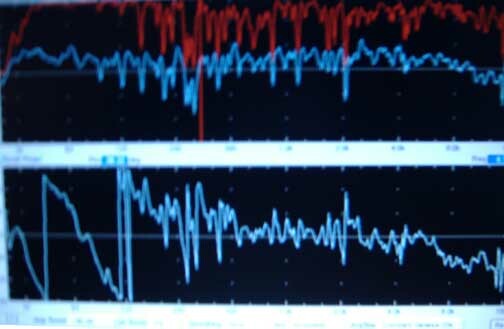 Either model can be used for either job. 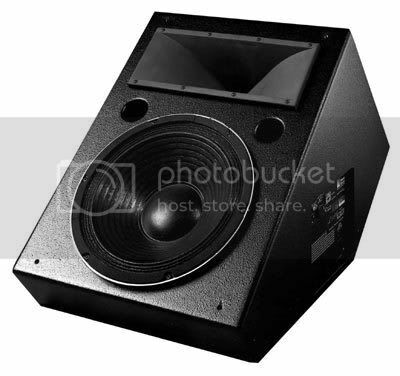 Note: The Meyer UPA-1P has the same components as the Meyer UPA listed in "Compact Speakers". 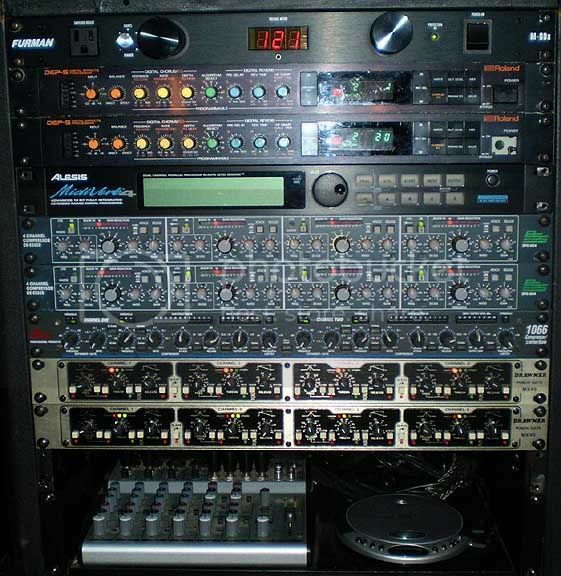 OPTION 4) USW sub with modest mix in UM or UPA. 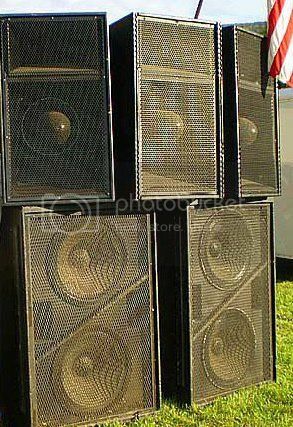 Historically the original drum monitor. One in the "SIM Rack" and the other in the "Monitor Rack"
David Muddiman is fully factory trained and with SIM3 certification. 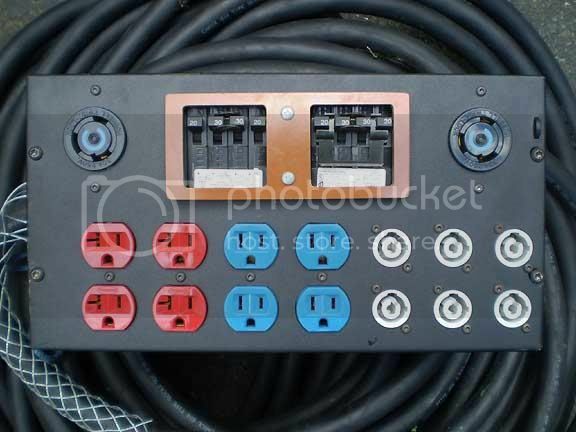 12 zones can be aligned without rewiring, before and during the show. 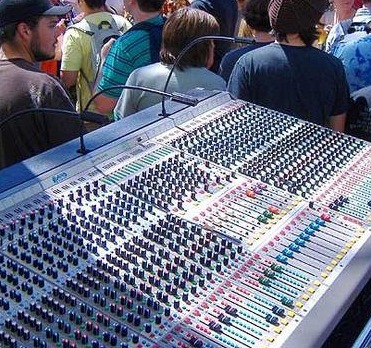 • Bare Wire or "Tails"
Note: In small rooms, one of the two small ProMon listed under "Consoles for Monitor Mix" can be used at FOH while the other is used for monitors. 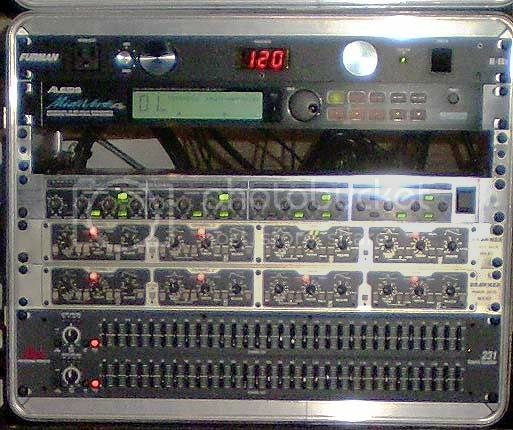 Interfacing BSS dynamics, the Galileo loudspeaker processor(s) and ten 31band EQs for inserts, etc. 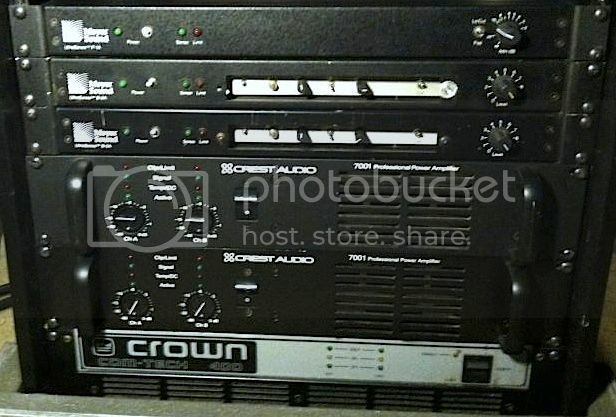 Note: In small rooms, one of these two small monitor consoles can be used at FOH while the other is used for monitors. 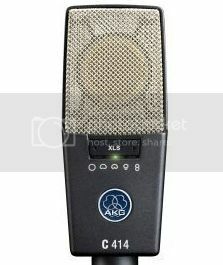 2) AKG C414 XLS, condensor for acoustic instruments, percussion, vocals, overhead, etc. 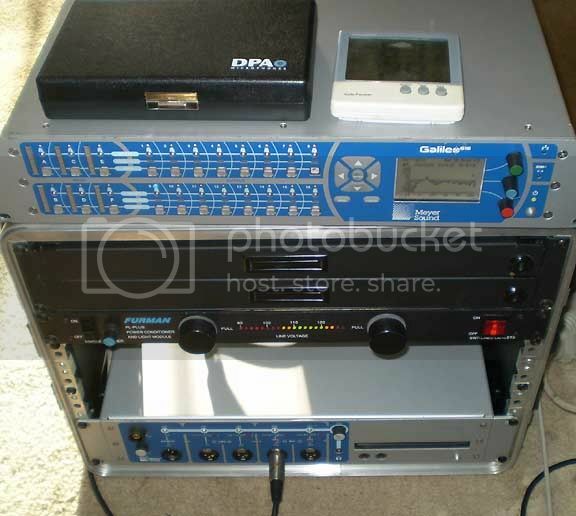 [Image soon] Artistic EQ rack for monitors, inserts, etc. 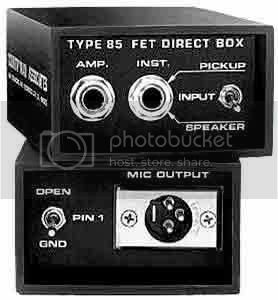 For alignment of any PA, or to allow a visiting engineer to adjust EQ other than SIM3 optimum. Often at no extra charge ! 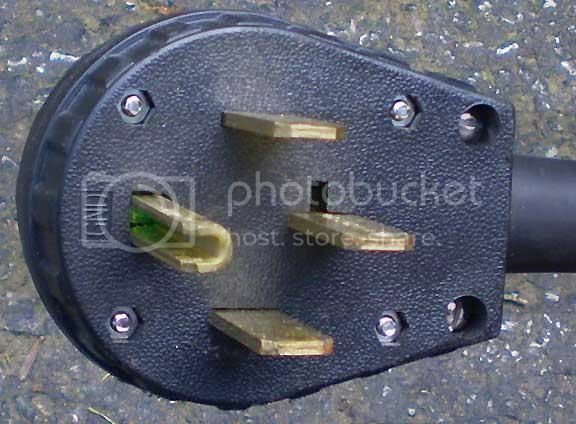 David Muddiman is not a professional lighting operator or designer. 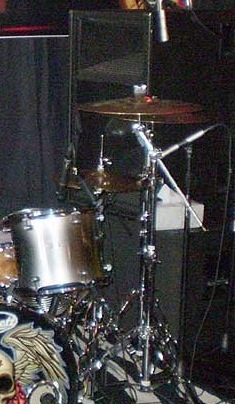 However, very basic lighting is available when your event risks being in the dark. 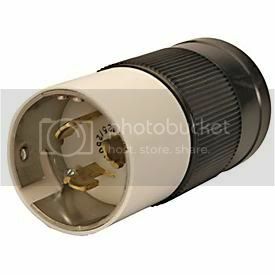 Starground can find you an associate to provide professional lighting. 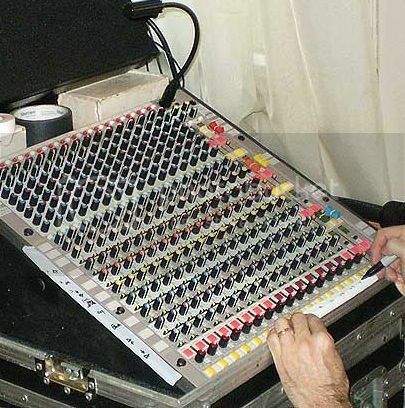 Of Course, you also get David Muddiman, with his Education and Experience, and now many associates in sound, lighting, projection, crew and volunteering.